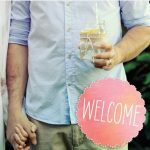 There isn’t a package that includes everything I am after, Do you offer custom packages? Absolutely! 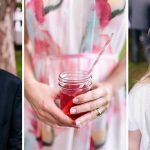 We love nothing more than creating something unique just for your event! Get in touch for a custom package. What else is included in the packages? All packages include table, linen, delivery, set up/down, and rubbish removal. I have a specific colour theme- can you accommodate this? Yes floral arrangements, ribbons and some styling items can be changed to suite your colour scheme within the packages. How long is the hire time? Hire time varies depending on your event- please contact for more information. Post wedding ceremonies are for a maximum of 1 hour. Please remember to consider the length of your event and if you may require drink refills. Will someone serve the drinks? No, The Soda Stand is designed to be self service. Your guests will love being interactive with the event décor! Due to licensing laws we are unable to provide alcohol. 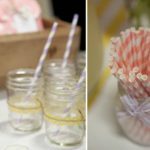 However if you wish to include some alcoholic beverages as part of your drinks table we are able to assist with styling and accompanying items such as glasses and ice buckets. What areas do you cater for? All prices are for the Sydney metropolitan area. Additional charges may apply for events outside this region. Unfortunately deposits are non refundable. If you need to cancel a booking please get in touch ASAP. We post via Australia Post to send parcels within Australia. We charge a flat-rate for shipping so no matter how much you order, you will pay the same low amount of postage of $6.95 at checkout. If your items have been posted we are unable to offer refunds. Please get in touch ASAP if you have changed your mind. We take great care in packaging your items. If any of your items do arrive damaged please contact us within 7 days of receiving your order and we will either (at our discretion) refund your purchase price or send you replacement items for free. If possible, we ask that you take a quick picture of the damaged item and send it to us. What happens to returned packages? If a package is returned to us marked undeliverable we will contact you to organise re-delivery at your own cost. If you do not respond, you will be returned the original purchase price but not the shipping charges. All information provided to The Soda Stand will remain confidential and will not be shared with others. 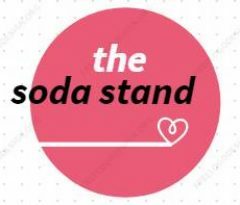 All photograph and content on this website are copyright and owned by The Soda Stand. Please contact us if you like to use any photographs or material as any unauthorised use of photographs and material is prohibited.